Flats, minis & footballs: $39. Helmets, jerseys & equipment: $49. 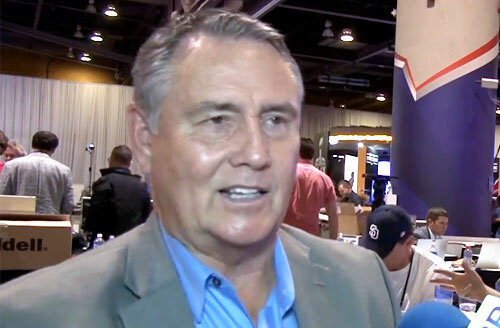 Danny White is a retired NFL quarterback who played for the Memphis Southmen from 1974–1975 and the Dallas Cowboys from 1976–1988. White is a 1982 Pro Bowl selection plus AP Second-Team All-Pro for 1982. White is a Super Bowl XII Champion plus he is three-time UPI Second-Team All-NFC for 1979, 1981 and 1982. His number 11 jersey was retired by the Arizona State Sun Devils plus he was inducted into the College Football Hall of Fame in 1998. Sports Speakers 360 is a booking agent for pro athletes. If you would like to book Danny White for a speaking engagement, appearance or endorsement, contact a Danny White booking agent for fees at 1.855.303.5450.